July | 2015 | Words. Sentences. Stuff. That’s the thought that enters the mind about half an hour into Asif Kapadia’s documentary, Amy, and it’s a feeling that stays for the rest of the movie, the stroll back to the car, the drive home, and beyond. I’ll confess here that I was never much of a fan of Amy Winehouse, either the songstress or the persona that the media shoved down the public’s throat. I mean, I own a copy of Back to Black and I listen to it occasionally, seldom all the way through, usually just the hits and I enjoy it. I mean, I can appreciate that she was a great singer. It’s more that she was never really my cup of tea. So I went into the documentary in much the same way as I did with Kapadia’s previous effort, 2010’s Senna, which brought Formula One racing to life in a way that actually watching Formula One has consistently failed to do for me. I loved Senna far more than I loved Senna. The style between the two films is pretty much identical. Take some stock archive footage, intersperse it with private home video, throw some stills and some audio interviews, never ever have a talking head. Take what you have and put it together in such a way that the story tells itself and do it in such a way that it seems ridiculously, and deceptively, simple. The denouement as well is cut from related cloth. We know there’s no happy ending here. Where it differs from Senna, though, is that there’s not much of a happy beginning, either. The moments of joy seem fleeting and quickly crushed by another new depressing low. As this sad, compelling story unfolds, I found myself yearning for someone to step in and pull her away from her father, her husband, her manager, her hangers-on, for someone just to put their foot on the brake and say enough is enough. Knowing from the outset that this doesn’t happen in no way lessens the impact, it just makes the situation more hopeless. There are many moments during the two hour running time where Kapadia lightens the doom a shade or two and allows her humour and her talent, both as a singer and a writer to shine through. 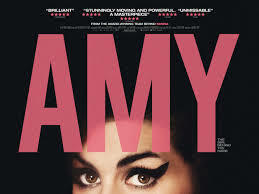 Amy as herself, beneath the beehive and without the drugs, is a warm, charming, often funny young woman, frequently awestruck by her heroes and influences. Beneath that, she was never short of a demon or two and when they were pushed out time and time again in front of a battery of exploding camera flashes — which more than once forced me to look away — we’re left with the feeling that the end was always going to be this way. The variable was the speed at which she would crash head first into it. Either way, she didn’t stand a chance. 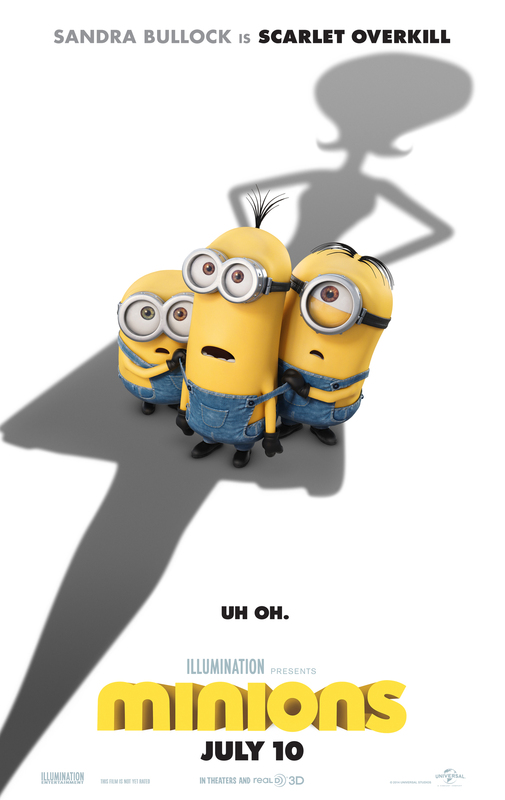 If excitement could be measured by the number of times I shout “banana” as I push my way through slow-moving children in a busy cinema foyer then, thanks to a number of trailers over the past few months, I was officially four excited in the minutes leading up to seeing Minions. Sadly, the first thing to note was the downside of consuming all those trailers. If you’ve been keeping up, you’ll have seen the first twenty minutes to half an hour of the movie and all those jokes and visual gags that so charmed you back in December? Yeah, not so funny any more. The net effect of this is that even in a cinema packed with (slightly disorientated) kids, the opening was met largely with silence, which doesn’t do an awful lot to get anyone in the mood for the following hour’s antics. So, as you probably know, we start at the dawn of time and watch the minions move through the ages, trying to find the ultimate bad guys to worship, with disastrous results that were hilarious last Easter. Eventually, in the 1960s and lost in a polar wilderness, three minions set out on journey to find a bad guy they can all get behind. They don’t all go looking at the same time because plot. Our diminutive heroes — Kevin (the smart-ish one), Stuart (the funny-ish one), and Bob (the cute one) make it to New York where, through a plot point so dreadful I can’t bring myself to write about it, they discover a convention of villains is about to take place in Orlando so, thanks to a different but no less dreadful plot point, they’re soon on their way. Once there, they win their place at the side of evil-genius-super-villain Scarlett Overkill (Sandra Bullock) who has hatched a dastardly plot so vile that it would perhaps be among the top five items in the local news. They want to steal the crown jewels! Gasp! In England! Double gasp! On The Buses on Holiday! A go go! If this doesn’t sound like an utter disappointment of a storyline then I’m doing it far too much justice. If on the page it flatters to deceive, on the big screen all the faults are there for all to see. For an extra $2, you can see them in 3D. But even weaker than the story is the fact that Scarlett Overkill is a terrible villain, and not in a good way. Rather than planning to steal the crown jewels herself, she gets the minions to make a plan and execute it entirely on their own while she stays at home with her tiny feet up. Rather than invent her weapons, she gets her husband to do it. Rather than want to hold the world to ransom, she wants to dress up and be Queen of England. She’s such a badly executed character, the only way she could be any worse is if she was played with no vigor or presence or humor. And that’s where Sandra Bullock comes in. On both child and adult level, it isn’t as funny as it should be. I sat with a smile on my face most of the way through but the number of times the movie upgraded that smile to an actual laugh was surprisingly low, and usually came because either their gibberish language struck a chord, Bob did something outrageously cute, or an English person drank tea at a time when tea drinking would be ill advised. 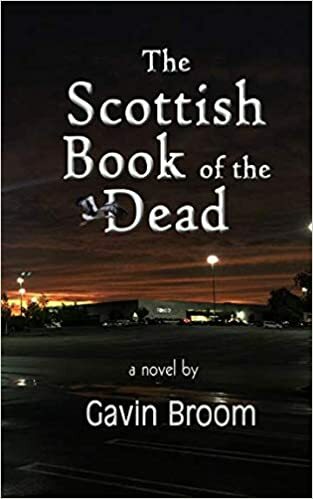 I can give it no more damning a verdict than to say it was simply okay and note that it should’ve been something much much better. Given a choice between this and Inside Out, it’s a simple decision. I’d be pushing kids out of the way to see the latter. But I’ll probably still shout “banana”.